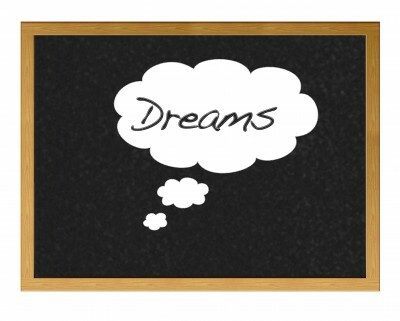 Teacher Dreams: mine started about two weeks ago in earnest. Like most professionals, teachers always bring their work home with them. There is always something to grade, or someone to consider, as well as the steady revisions to the daily lesson plans. I use the summertime break to move away from that rhythm so that when I return to it I am ready to dance. The dreams, I guess, are just part of my mind and body preparing for a new round. The dreams began with a group of students from various prior years stopping by to help me prepare my classroom for the first day of school. The opening date for students is still three weeks away, but I can feel the clock breathing my way. Back during my time with DCPS, I was constantly being shuffled from one classroom to another each year. That first week became a stressful ritual as I scrambled to attend all the mandatory professional development meetings and still procure wall paint and whatever else I needed to put my spin on a new room. I was never sure why the administration kept reassigning me each year. I thought my accomplishments “in the field” would shield me from their moods. Some teachers moved to a new room every year; some never did. I was one of the ones who did. But I believe that opening week drama is behind me. I will be in the same classroom as last year. I don’t have to relocate my files, or my supplies, or my spare parts. Still, the students return in my dreams to help me, to chastise me when I place a poster where they do not feel it belongs. All the visitors are former students, and the dream is vivid and enjoyable. The sound of laughter and communion is everywhere. My second set of dreams favors the end of the first week of classes. I am still working to learn all the names, adjust my roster for additions and deletions, review classroom procedures, and entice my new charges with the learning goals for the year or semester. I am learning to relax a little, and so are the students. One young lady in particular figures prominently in these sketches. She has a bold spirit and is always impeccably dressed, even in uniform. We developed an easy rapport over the course of the last year, and I would always ask if she was “doing her job.” I heard whispers in the teacher lounge. “She is a challenge,” they said. The cell phone was her closest friend, and her energetic disposition masked intellectual insecurities she was unwilling to face. She invented entertaining excuses for the work she failed to do, and phone calls home were little help. Near the end of last school year, she joined a group of rising seniors who found their way to my classroom shortly after the Class of 2013 departed. The “feeling out” process had begun, and I enjoyed spending time with them, making small talk, discussing summer plans, and joking about how special 2014 would be. She came to see me on the last day of school, excited to tell me she had made it her business to sign up for not one, but two, of the senior courses I would be teaching. I pretended to be dismayed, but, in truth, I expected it. I knew we would have our share of “discussions” and hallway huddles. In the dreams, she is at times engaged, at times distracted. But I know somehow my success this year will depend, in part, on my ability to help reignite her journey. Two nights ago, my dreams shifted to mid-year. Exams approached, and I paced at home. I worried I had failed to make some point or another. I had not yet finished grading a paper whose contents would factor into one of the essay questions on the test. It was after 5 AM in the morning. My favorite black-and-white Highway Patrol reruns were playing on This TV. As I labored to finish the last few papers, I could hear myself vowing to do better next time. It is a constant refrain with teaching. Each year, for nine years now, a new collection of one hundred young faces or more arrives just around the time I have finally stopped fretting about how the previous group will fare. Did we cover enough in the time we had? Did I do my best? Will the impact last? I have a feeling these dreams never really go away, even after professional teaching days are over. Educators know the dreams, like hope or empathy, settle in the very core of our existence. They become an essential part of our visions not just for ourselves and our loved ones, but also for the world. Teaching is a challenging profession. The stakes are more than high. But I suspect anything less consequential would hardly be worth the prize. This entry was posted in Uncategorized and tagged new school year, teacher dreams, teacher hopes, teaching profession. Bookmark the permalink.